Here we focus on preventing Parent-to-Child Transmission and raising paediatric treatment to the globally agreed target of 80%. Through this program, we ensure high quality services including family-centered care and nutrition, early infant diagnosis and treatment, access to appropriate medications, full funding to eliminate HIV and AIDS, reprogramming to achieve CEPA impact, overcoming the human resources crisis and overcoming stigma and discrimination. 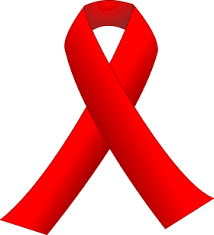 The CEPA campaign, launched by Global AIDS Alliance in 2009, is on-going in five other African countries namely Mozambique, Zambia, Uganda, Tanzania and Kenya. In Nigeria, PATA leads the CEPA campaign, working with key partners including UNICEF, JAAIDS, NASCAP, etc. One of the initiatives of PATA was a meeting with the Chairman and the Vice Chairman of the National Assembly House Committee on HIV/AIDS to ensure a speedy Presidential Assent to the National Anti-HIV/AIDS Stigma Bill passed by the National Assembly. The Government of Lagos State also has a law on anti-stigma and discrimination which is being observed and monitored by CEPA Nigeria. In sub-Saharan Africa, some 430,000 children were infected in 2008 alone largely because their mothers did not have access to the treatment that would prevent mother-to-child transmission. Nigeria has the highest number of HIV infected children with an estimated 240,000 children living with the virus (UNAIDS), with 57,000 children born infected every year (Federal Ministry of Health 2008). With the Global AIDS Alliance, we seek to ensure 80% coverage for comprehensive prevention of parent-to-child transmission and pediatric treatment services; integrate child and family health services with other health services, including family planning, in order to improve health outcomes for children, HIV+ mothers and their families; expand access to early infant diagnosis and treatment services; ensure an uninterrupted supply of affordable, effective and user-friendly treatment options for children and their families, mobilize the political will and financial resources needed to scale up PPTCT and pediatric treatment services.